kcmetromoms.com: 2014 Kansas City Easter Week Activities, Egg Hunts, Brunches, and More! 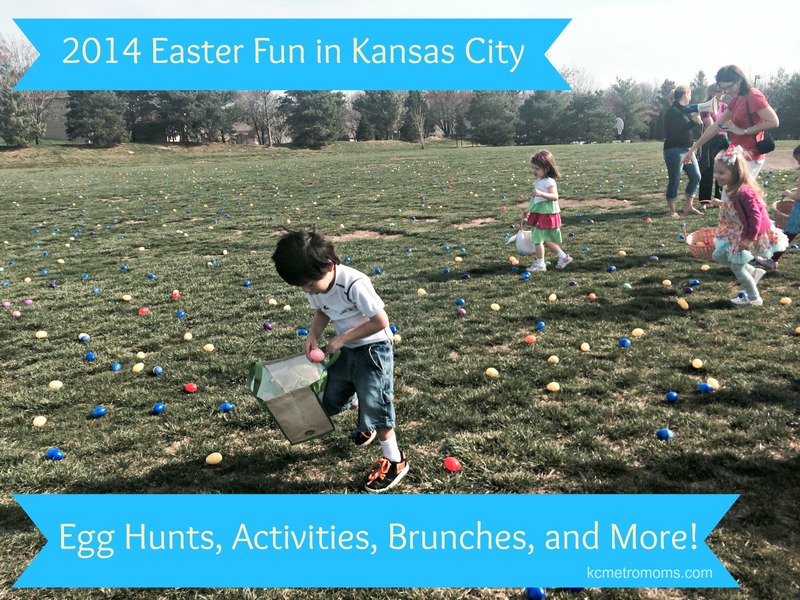 2014 Kansas City Easter Week Activities, Egg Hunts, Brunches, and More! The Easter Bunny has a very busy schedule this year, hopping all over the KC metro for Easter breakfasts and brunches, Easter egg hunts and special Easter events. Here are some of our top picks for Easter family fun in Kansas City! Free Easter activities and Easter bunny photos! Egg hunts, crafts, and more! Hunt for eggs in the dark, using only flashlights! Registration is available for kids ages 9 and up and must be accompanied by parent. Families will enjoy the fun course, plus a visit from the Easter bunny, face painters, food & drink, and more. Benefits Marillac. Egg hunts for all ages, clowns, bunnies, inflatables, and more! Free and open to the public. Egg hunts for all age groups, plus a visit and photos with the Easter bunny. Join in the fun for Easter treats and lots of goodies in addition to our usual LEGOLAND fun for the whole family. This annual Easter egg hunt starts at 10:00a.m. and is a FREE fun-filled event, with crafts, games, face painting and more for the whole family! This FREE community event features the Easter Bunny, a live performance by Mr. Stinky Feet, and much more! Enjoy brunch offerings from the hot bar and street food cart that are deliciously prepared made to order. Gourmet brunch event for adults and kids, featuring all your favorites. Easter brunch buffet for families served between 10 a.m. and 3 p.m.
Easter brunch featuring all the traditional favorites for Easter meal.